Well I just want to thank everyone here for their sincere and helpful words of advice/encouragement/wisdom. If I do make it into hauling I would love to meet up with you guys/gal somewhere across the fruited plain. These may not be the answers I 'wanted' to hear but they seem to be the TruckingTruth (no rhyming...) and that is really what I wanted to hear. It looks that my only options are going to be with a McElroy type situation. I also saw this post: http://www.careersingear.com/job/353933323435352d34313031372d30?&utm_source=Ripple&utm_medium=PMC-CPL&utm_source=Ripple-ZipRecruiter&utm_medium=PMC-CostPerLead&utm_campaign=Ripple. They seam to have weekend options - even daily. Now I do not want daily - but they are claiming to offer it - it is worth looking into to see if the weekend offer is for real. Simply put I cant invest in a CDL w/o knowing that after all is said and done I can take my one day a week off. McElroy is now hiring - unfortunately I do not have my CDL as of today but if I can understand from McElroy that they have regular openings ie - I wont have to sit around for half a year after achieving CDL A until I get a job - I am gonna go for it. If not, well plan b will just have to become more attractive. Put another way: If what is expected is 2500 miles per week - then at 50 hours driving a week - you need to average 50 miles an hour. at 55 hours a week - it goes down to 46. Are you saying you don't average 45 mph? I'm hoping you understood farmer Bob to mean per month, not per week. Otherwise, I'm signing on with Farmer Bob's outfit! The line at the personnel office is already a block long. One second Farmerbob1. 9 hours a day * lets say 65mph = 585 a day * 6 days a week = 3510 miles a week. Now I know you cant do 65 all 9 hours. But if what is expected is 2500 (is it not?) miles a week - a 1000 miles cusion - is not enough to get to 2500 miles? Based on your answers I'm gonna go on a limb here and lay out exactly what I am looking for and you tell me if trucking can be a good fit. 1) I want to support my family. $3500 gross is enough for that. More is certainly merrier but I am not necessarily (possibly but not likely) willing to sacrifice other things which are important to me to achieve that. When push comes to shove on the totem pole $3500 is fine and dandy. 2) I can see myself driving up to nine hours a day six days a week. One day a week break is a non-negotiable for me. 3) the rest of my time I need to myself with 'to myself' being flexible - I do not care if I wait at a stop to load/unload even 5 hours heck even 10 as long as I can have that time to myself. To me hours on duty where I have to be at a certain location but otherwise free to do my thing are still my hours. Wherever I am I have what to do. 4) I would like to have a coupla weeks a year I can go and have fun with my kids who are with their mother but I can take them for that amount of time. $3500 per week is doable, especially gross, but if you are only driving 9 hours a day, six days a week, that number might be hard to reach at starting wages. One day a week off is also doable, but if you are only driving 9 hours a day, that means you may be telling a DM or planner that you want a day off every week when you still have plenty of hours to drive. IF your request for a day of every week is based on religious beliefs, THAT might get you some slack, depending on the religion and the company. You will have plenty of off duty downtime at shippers and receivers, unless you are doing intermodal or drop and hook. Live loads take time. Some places are very fast. Some are slow. Inspections, load breakdowns, counting, it all takes time. Vacation time is also doable, but don't expect it in the first year unless it's part of a contract. 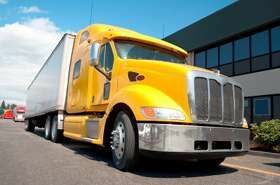 People with more or different experiences than me might be able to say things with more clarity, but, in a nutshell, I think that what you really are looking for is a regional driving job, where you take your 34 at home, and you want the benefits that a 1+ year experienced company driver can expect from a decent company. BUT you won't be getting that for the first six months to a year in most cases. Granted first year is an outlier. But from year 2 and on does this seem feasible? While loading unloading pick ups deliveries can you sit down and read a book? Thanks for all your help. One thing is for sure, truckers help each other like family. next question: If I drive 9 hours a day - how many miles on average does that cover? and last question: I understand that I will be away from home 21 days at a time or more. Question: can I arrange my jobs that I always have one day a week to my self w/o driving (even if it is in timbuctu)? The trucking industry seems like a good match for me but I have one concern: 70 hour work week. The solitude, being away for weeks at a time is not an issue for issue for me. I actually love driving on the highway. However, 10 or more hours a day seems a bit much. And at least 2 companies I have looked at said expect to hit 70hpw. The question is: as truckermike points out the jobs are basically about from getting from point a to point b within a set amount of day/hours - are most jobs actually such that you must do 70 hours a week to be on time? Or is a 50 hour work week realistic?